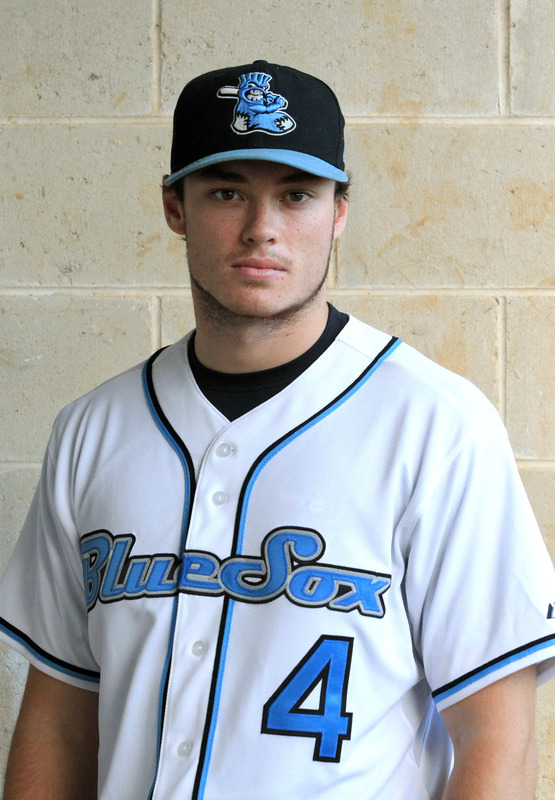 Six-foot-three LA Angel pitching prospect Aaron Sookee was as dominant as ever on the mound as a late-inning reliever for the Australian Baseball League’s Sydney Blue Sox. 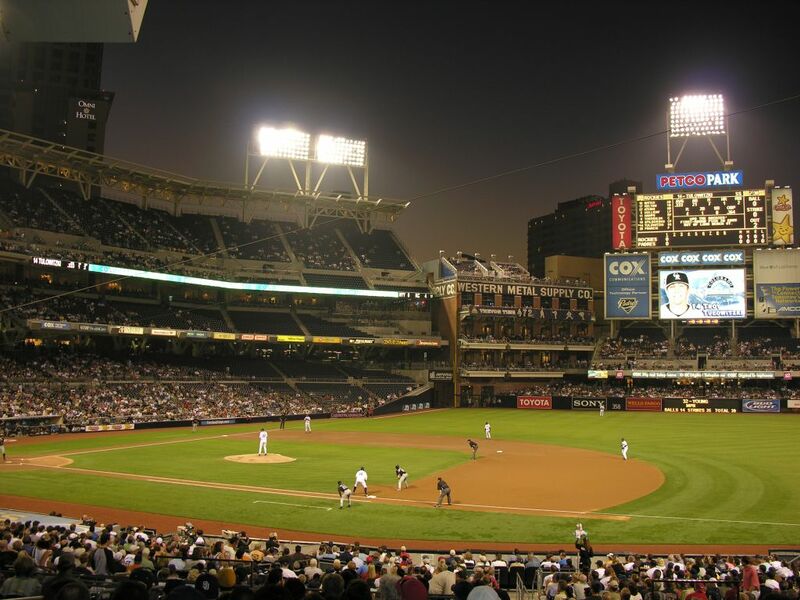 The best pitchers in baseball use the slider to their advantage on the field, while their agents successfully utilize it in negotiations to ultimately determine their client’s fame and fortune. It is one of the four pitches that usually dictates a player’s ability to play at a professional level. 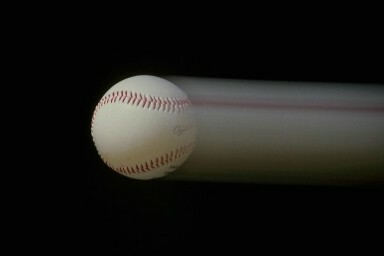 The slider is very deceptive as the batter sees the ball as a fastball due to its speed and spin, but at the last moment the slider drops in front of home plate–unlike a curve ball which is detected by its spin or the pitching motion of the pitcher. 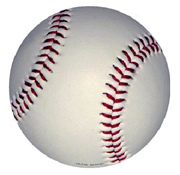 A slider is thrown by grasping the ball with the index finger and middle finger not in the center of the ball, but off a bit to the right. Some of the most notable players to have made the slider one of the most difficult pitches to hit include: Hall of Famers Bob Lemon, Bob Gibson, Dennis Eckersley and Steve Carlton; legends Randy Johnson, John Smoltz, and Sparky Lyle; and pitchers Brad Lidge, Francisco Rodriguez, Zack Greinke, Johan Santana, Carlos Marmol, Ryan Dempster, Clayton Kershaw, Chad Billingsley, Max Scherzer, Chris Sale, Joba Chamberlain, Ervin Santana, Aroldis Chapman, Jonny Venters, Daniel Bard and Craig Kimbrel. 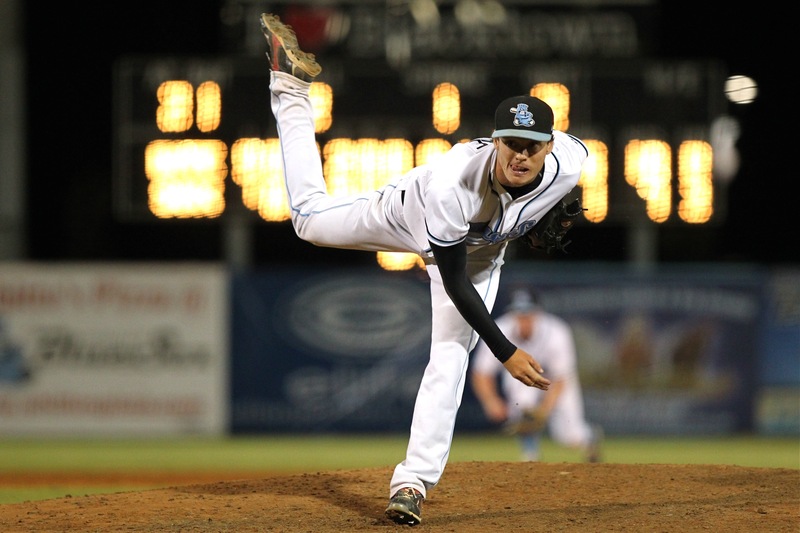 Aaron Sookee promises to be an asset to the LA Angels. 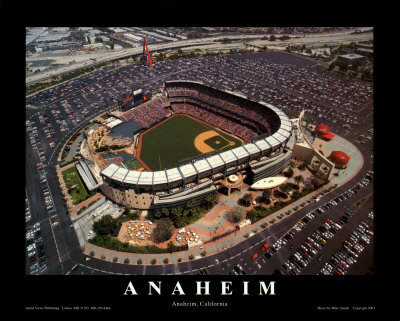 Signed by Los Angeles Angels of Anaheim scout Grant Weir in 2009, Aaron Sookee knew early on that it was a match made in heaven when the Southern California team made an offer he could not refuse. 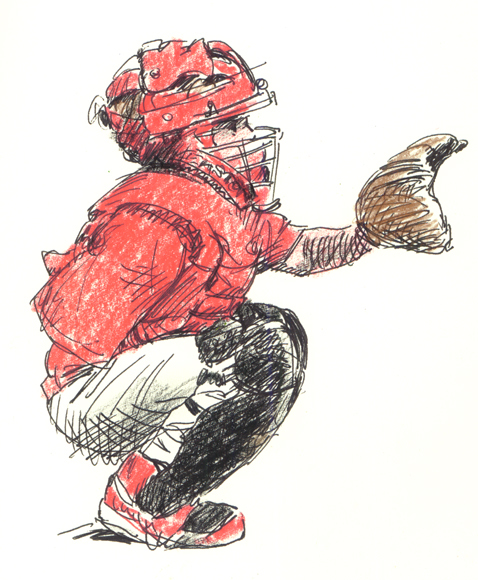 The teenager pitcher had dreamed of playing professional baseball for the LA Angels, who had at the time been a favorite among Australian baseball fans because of the famed Aussie pitcher and former Angel/Blue Sox Rich Thompson. 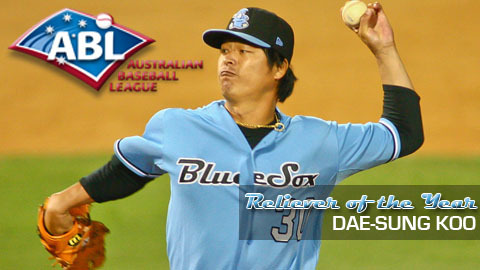 Working as a late-inning reliever for the Sydney Blue Sox this past ABL season, Sookee made his presence felt by averaging more than one strike out per inning, which is just about the same ratio of two-year Angel minor league campaign (61 strike outs in 59 innings). 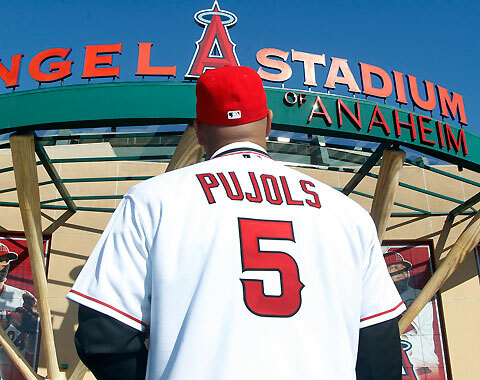 Heading into his third Angels Spring Training camp, Aaron appeared more confident and more determined than ever to break into Major League Baseball. The following interview took place in mid-March at the Angels Spring Training facility in Tempe, AZ. 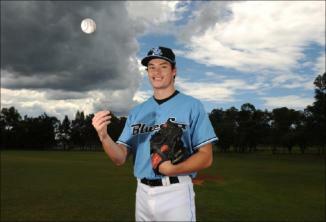 Aaron Sookee will take the momentum from his strong Sydney Blue Sox campaign into 2012. Roberto: What inspired you to dream of playing Major League Baseball as a kid in Australia? Aaron Sookee: I guess growing up we didn’t get a lot of the major league games so you had to look to the local teams in the old ABL. I remember watching Gary White and Dave Nilsson, both catchers but really great players. And then more recently Chris Oxspring and Brad Thomas and just seeing how they go about their business to hopefully make me into a major league pitcher one day. Roberto: When did the bidding war between MLB teams begin for your seven-year professional baseball contract? Aaron Sookee: In January 2009 is when it began and a few teams, I think five or six from memory, were competing. But as soon as the Angels made a bid, I knew that I wanted to play for the Angels. Roberto: Now with Albert Pujols and C.J. Wilson acquired during the offseason, do you think the Angels have the winning combination? Aaron Sookee: Most definitely, you know what I mean. They should win close to 100 games this year with them two. It should be pretty exciting to watch. 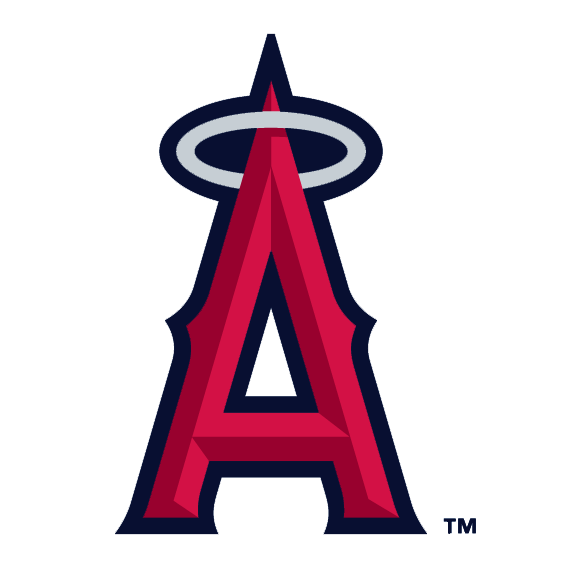 Roberto: Has playing in the Angels farm system and in the Australian Baseball League during the offseason helped you develop into a confident pitcher? Aaron Sookee: I have come a long way. I think that’s from playing everyday. There’s a different brand of baseball here because you do play everyday and you have to be ready to grind it out everyday. 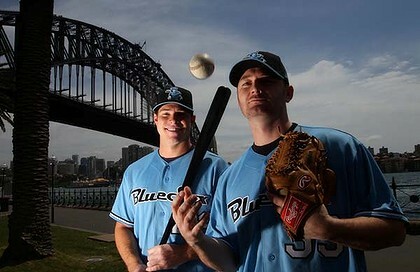 That’s the main difference between Australian baseball and American baseball. Roberto: What are your short-term and long-term goals? in the Midwest League for the Cedar Rapids Kernels. Then step-by-step hopefully one day I get to play pro ball. (San Diego Padres) and Brad Thomas (Detroit Tigers). Was that inspirational to you? Aaron Sookee: It definitely was…just watching how those guys go about their business. It was an honour playing alongside them. I learned a lot from all three of them, even though that Koo didn’t speak much English. He can translate through baseball language I guess and then Thom-O and Ox really helped me grow this offseason. Roberto: Why did you choose to become a pitcher instead of another position? Roberto: There’s hope thanks to the designated hitter. Aaron Sookee: (Laughter) It’s come a long way during the offseason…maybe the last calendar year. I’ve been working really hard on it. I just can’t wait to use it this season. 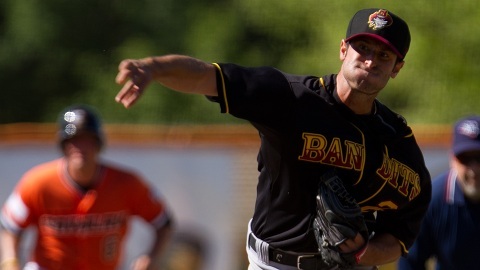 Roberto: With that pitch, are you the Australian version of the Italian slider expert Alessandro Maestri of the Brisbane Bandits? He’s a true professional in every aspect of the word. Roberto: Does it feel good when fans ask for your autograph? hard work that you put in because it translates to performance on the field. Yeah, it’s good. Roberto: Any advice for the youth back home that are considering playing baseball? Aaron Sookee: Just stick with it. Every time you can throw a ball, throw it and don’t hold back. Don’t leave any stone left unturned and just go after it. Don’t be afraid to play. That’s the main thing I think. Roberto: Thanks for taking time out to talk today. Aaron Sookee: Thank you. It’s been a honour. Thanks for having me. Venice Beach’s Lizard King, an alter ego of Doors lead singer Jim Morrison, imitated a Native American shaman. 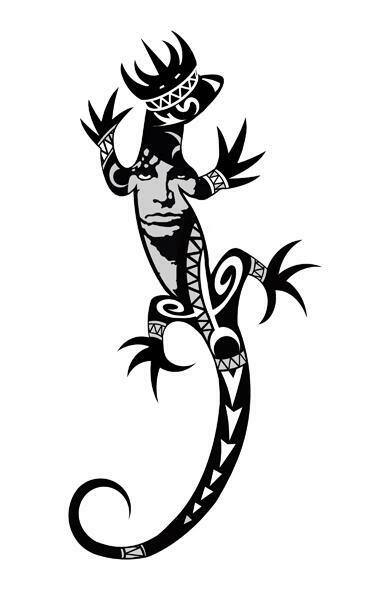 Since shamans identified strongly with an animal deity, Morrison chose the lizard because of its ability to reinvent itself by constantly shedding its skin and personified his deity by only wearing leather pants. Native cultures shaman guide followers through sacred ceremonies involving the ingestion of peyote to lead worshippers on a spiritual awakening of higher consciousness in the same way Morrison led his loyal audiences through a journey so that they may never think the same way again. 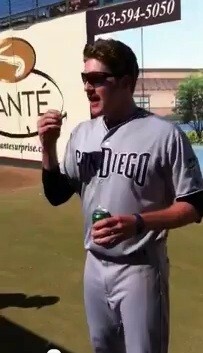 Opting to skip the hallucinogens and make believers of those weak at heart in the Peoria Javelinas bullpen during the 2011 Arizona Fall League, new San Diego Padre relief pitcher Miles Mikolas turned Lizard King chose to square up on clubhouse dues by accepting the $250 dare bet wagered by fellow players and ingesting a Mountain Dew marinated cold-blooded reptile. and part-time bullpen shaman Miles Mikolas inspects his live lizard lunch before chasing it down with cold Mountain Dew. With nearly 10,000 hits on YouTube for his fearless antics in the bullpen, the six-foot-five Mikolas has quite a Alice Cooper cult following outside of baseball. Hoping to tone down his rock star status and keep the fear factor limited to hitters facing him on the mound, Mikolas said: “We were joking around in the bullpen and one thing led to another and there was some money on the line so … you know. I’m a little bit fearless. Even eating a lizard won’t turn me away. Hopefully, I can open their eyes a little bit more.” Although he has enjoyed his notoriety outside of the game for having no fear, the phone rang early Saturday morning at 6 am (Texas League time) to see just how much he could intimidate the slew of armed and dangerous hitters found daily on the Miami Marlins line-up card. Heralded as PadresProspects.com’s #25 prospect and not expected to make his MLB debut until late this season, the 23-year-old San Antonio Mission right-handed reliever received his call up from Double-A ball to the major leagues earlier than expected when Padre closer Huston Street was placed on the 15-day DL. Mikolas couldn’t have picked a more powerful slugger, the Paul Bunyan of professional baseball–Giancarlo Stanton–for his very first batter to face in his MLB debut on May 5, 2012 at PETCO Park. off the left field third tier of the Western Metal Supply Company. Padres’ future closer #39 Miles Mikolas is destined for greatness. Mikolas made his encore appearance pitching in the Padres’ 6-3 loss to the Marlins on Sunday, when he came in relief during the eighth inning and recorded the final out after issuing a walk. Prior to pitching in the Bigs, Mikolas was 1-1 with a 2.92 ERA in Double-A San Antonio. 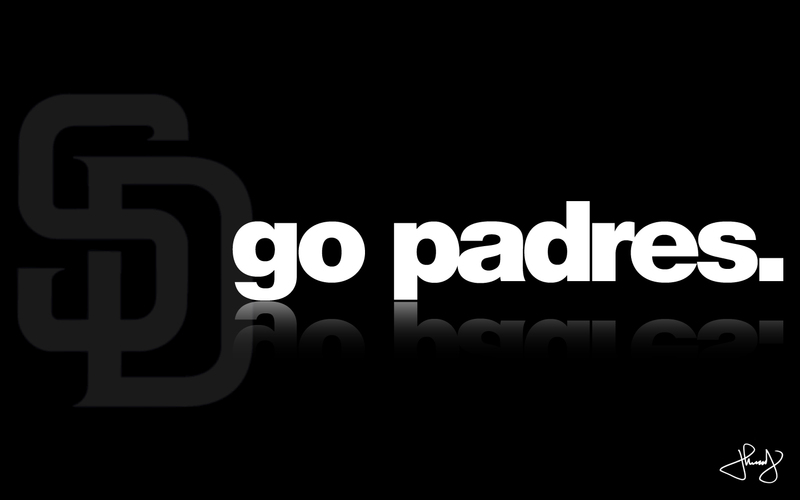 Padre manager Bud Black commented, “This spring, he threw the ball well. I think that continued on there in San Antonio. Of all the guys that we looked at, he was the guy that our Minor League people said, ‘He’s the guy. 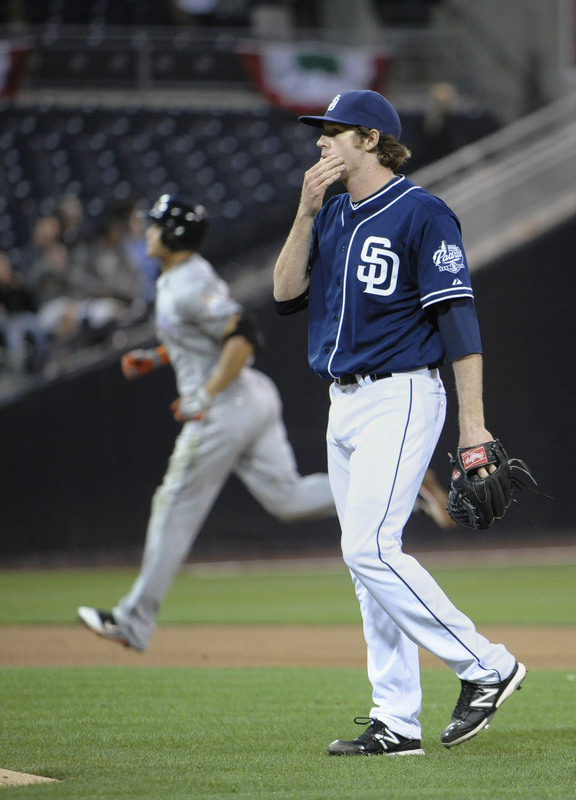 '” The San Diego skipper has liked what he has seen so far from the rookie Mikolas. “That’s a big curveball,” Black said. “His challenge will be to get that in the strike zone. It has good rotation. You can combine that with a low-90s, mid-90s fastball. It’s a nice variation. It’s a nice difference of velocity. But the key is getting the breaking pitch in for a strike, because he’s got enough fastball. There’s no doubt about that.” A few weeks ago, Aussie pitcher Hayden Beard–Mikolas’ roommate at Double-A San Antonio–predicted weeks ago that Miles would be the first member of the Mission pitching staff to break into the Bigs. ‘The Big Dog’ Beard said, “I’m stoked for Miles. It couldn’t happen to a better bloke!” After Jupiter High School baseball, Mikolas played through his junior year at Nova Southeastern University (NSU)–where he ranked fourth all-time with 167 career strikeouts and fifth with 32 games started–before being the seventh round pick by San Diego in the 2009 draft. That year he was one of four NSU players drafted, three of whom have now appeared on a Major League 40-man roster–including Mikolas, J.D. Martinez (Astros) and Mike Fiers (Brewers). 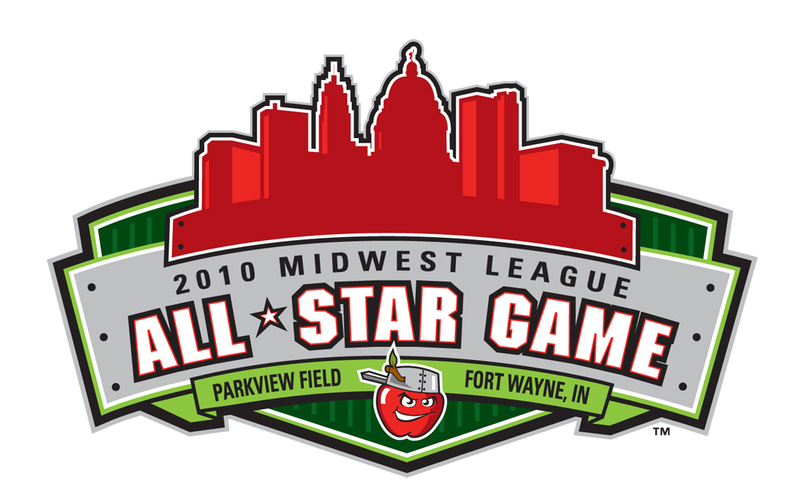 After converting from a starter to a reliever, Mikolas quickly moved up the Padres system to the Single-A affilate Fort Wayne TinCaps, where he would become a 2010 Midwest League All-Star after striking out 78 batters in 60 appearances. 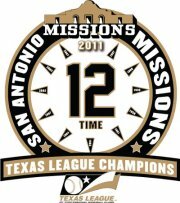 The Southern Florida native last season split time between the Single-A Advanced Lake Elsinore Storm and the Double-A San Antonio Missions. 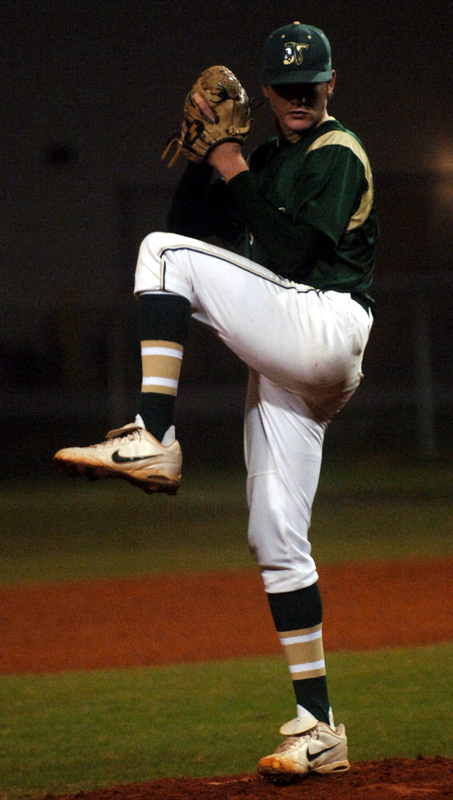 He went a combined 4-0 with 21 saves and a 1.38 earned run average. Mikolas was dominant on the mound, striking out 69 in 72 innings of relief. Rumor has it that an unnamed Lake Elsinore Storm pitcher was betting everyone he could hit triple digits but could only hit 99 on the radar gun that year. However, the Lizard King of the bullpen has since touched 100 mph with a spike in velocity. The fearless pitcher and part-time shaman will change our way of thinking of the Padres’ winning ways by keeping hitters uneasy and off balance with his unrelentless heat and signature Mikolas Hammer. While Tesoro Titans are assured CIF playoff berth, San Clemente Tritons look beyond this season. 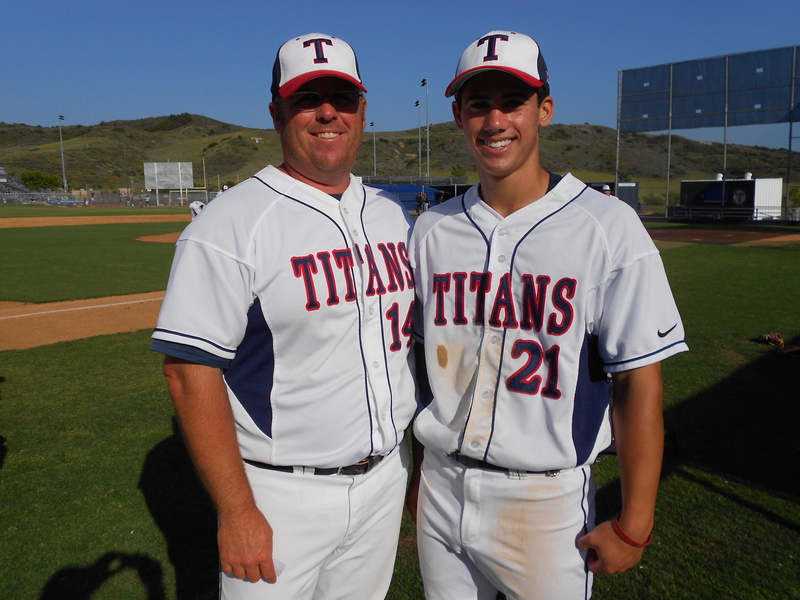 Titan Head Coach Rick Brail with Tesoro High School senior Kevin Co, who is heading to ASU. Evan Cook, a lefty blessed with a twist of deception, was put to the test early and threw under pressure nearly every inning. With bases loaded and two outs in the first inning, the slender Cook caught San Clemente batter Jesus Saldana off-balance when the stocky Triton catcher tapped a comebacker to the mound. 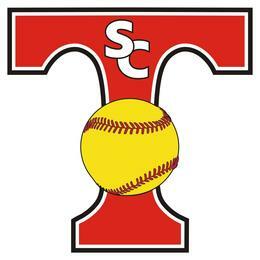 Cook fielded the ball cleanly and had plenty of time to throw Saldana out at first to end the inning. Once again in the second with men in scoring position and two out, the crafty left-hander got San Clemente leadoff hitter Trevor Sealy to fly out to center to spoil another Triton scoring threat. San Clemente pitcher Braden Riddle, as he has done most season against opponents, was out to compete and keep Tesoro batters at bay. 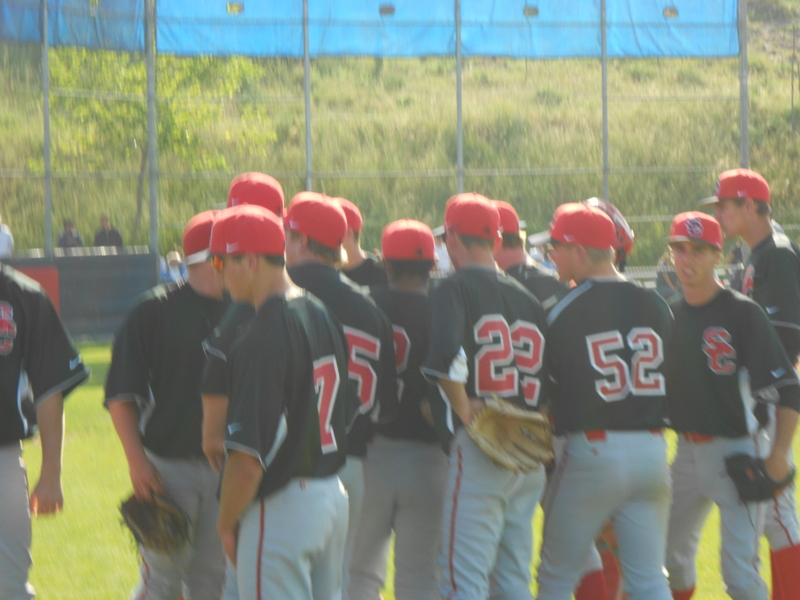 The San Clemente High School baseball team huddle. Exactly as scripted, when Tesoro Titan Brad Justl laid down a sacrifice bunt, Riddle followed his coach’s directive and threw out the runner at third for the force out. Then Tesoro batter Riley Greenlee hit a ball down the left field line just out of reach of the third baseman. With the speedy Brandon VerWayne on second being waved home for the score, San Clemente left fielder Shane Elias-Calles threw a bullet to catcher Jesus Saldana, who applied the tag on the baserunner to end the inning and silence Titan fans. Kevin Co fell victim to the promising junior’s on-the-money throw to third. not lose their faith in a playoff berth despite a heartbreaking 1-0 loss to the Tesoro Titans. 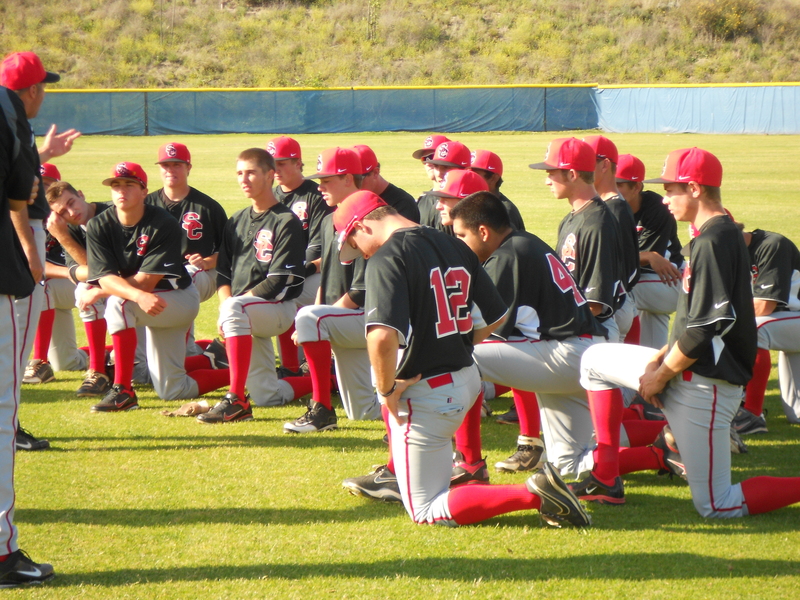 San Clemente Triton players take a knee and listen to their skipper’s “never say die” attitude. San Clemente Coach Gellatly praised his starting pitcher and said, “Braden Riddle is a four-year letterman who did show great competitiveness and leadership against Tesoro. He has the ability to carry the team on his shoulders from the pitchers’ mound. Unfortunately, we couldn’t score any runs for him.” Despite the loss, Titon skipper Gellatly remained upbeat and commented, “As the season winds down, we have some tough ballgames ahead of us. We still have work to do to qualify for the playoffs. However, if Riddle and Danny Atkinson can continue pitching the way both of them did last week, we should have a great chance of getting in. If we do happen to qualify, you never know what can happen in a single elimination tournament.” With an impressive 1.23 ERA, San Clemente junior standout pitcher Danny Atkinson held Top 5 state ranked South Coast League favorite El Toro to just one run yesterday as the Tritons upset the Chargers 6-1. Improving the team’s overall record to 14-11. San Clemente’s chances of making the playoffs will improve with wins in their three remaining regular season games against El Toro and Capistrano Valley. 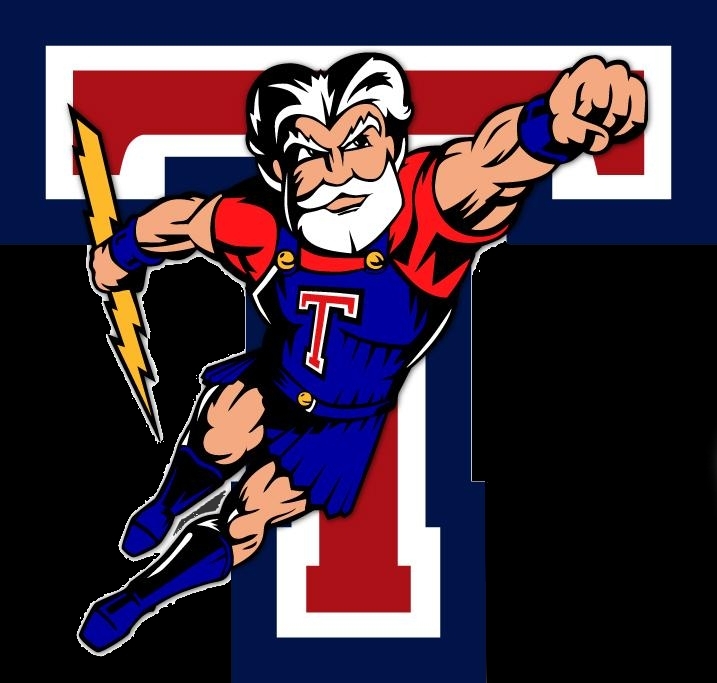 Tesoro, who are still undefeated at home in 2012, are currently leading the league with an overall 18-8-1 record. 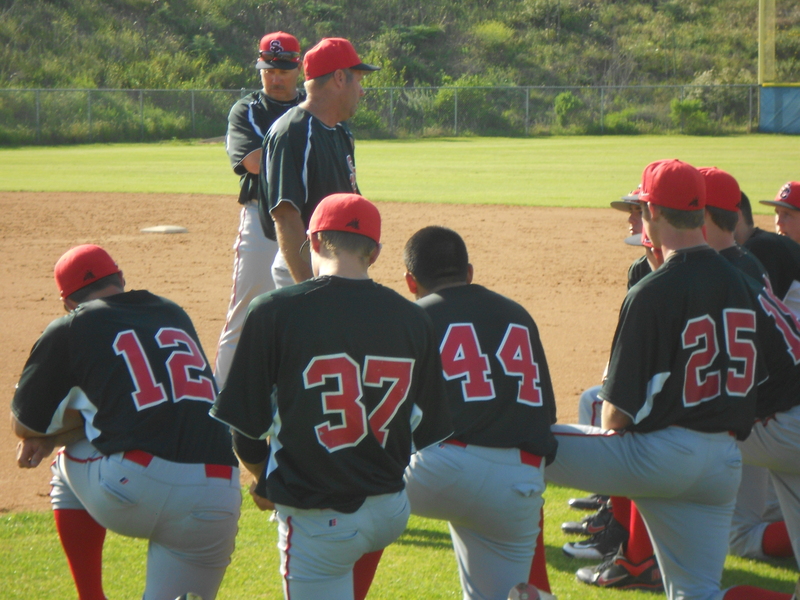 San Clemente and Tesoro are currently playing good baseball, and their first-class programs are second to none under the leadership of Coaches Gellatly and Brail. 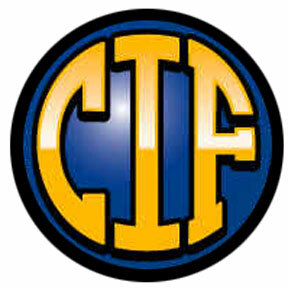 Should both teams qualify for CIF Southern Section playoff berths, they should not be discounted as they will be not give up easily. We wish the squads continued success now and in the future.